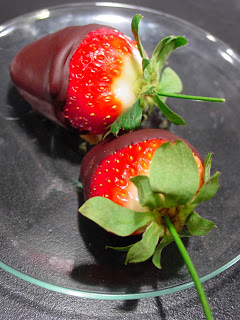 A more detailed recipe is on my Website at: http://www.carbwarscookbook.com/choc_dipped.html. Better TV demo, Chocolate Dipped strawberries. Bookmark.